Festival time in Bendigo’s Arts Precinct. Victoria is a fantastic state to explore. It’s small, compact and even if you live in Melbourne and don’t own a car like yours truly, you can easily access many regional areas via the trains. If they feel like running on time or at all, that is. Putting grievances regarding the general ineptitude of Public Transport Victoria quite firmly aside, it’s mostly pretty easy and painless to get to many places of interest around the state, particularly if you’re wanting to see some of its bigger town and regional cities, such as Bendigo. I didn’t head to Victoria’s other famous Goldrush era city Ballarat until it threw its annual Winter Festival in 2017. I had a very good time in the ‘rat (as I will now refer to it forever more) and decided that I wouldn’t visit Bendigo until I had a reason to go – beyond the very obvious one of wanting to check it out. 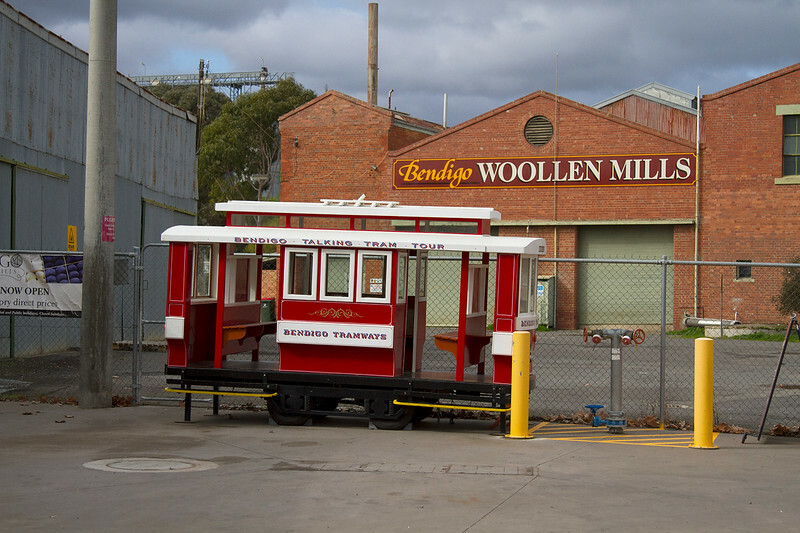 Bendigo is well known around Victoria for its trams. 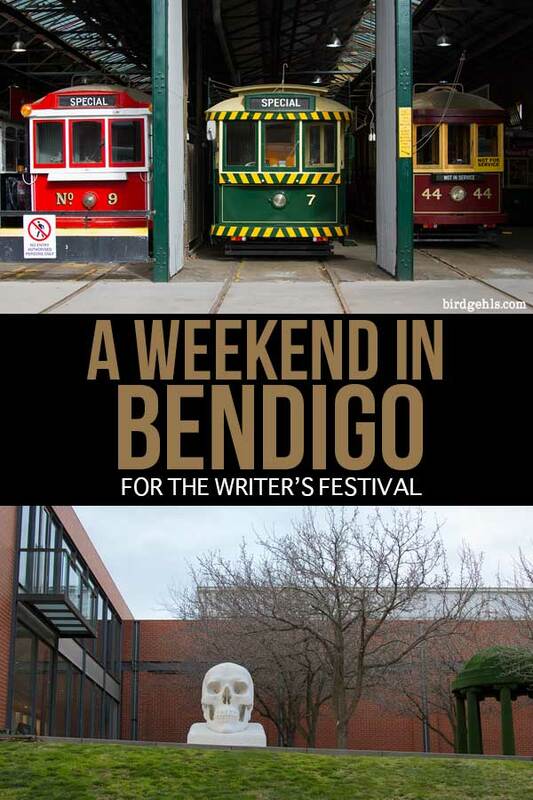 This opportunity presented itself in the form of the Bendigo Writers Festival – a weekend of literary goodness and fun events. 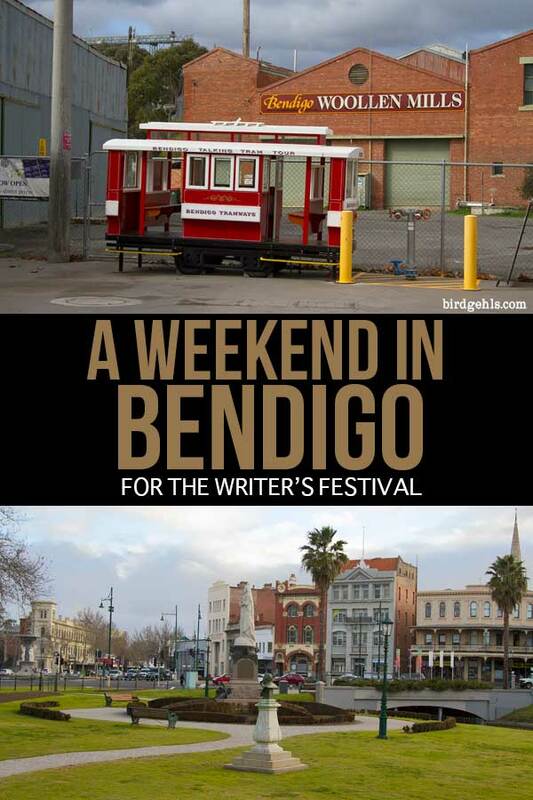 If you’re planning on spending a weekend in Bendigo, you might want to time it for this festival too. There’s such a good mix of events on, the program will surely appeal to those with a variety of cultural interests. And there are plenty of things to do in Bendigo, all within proximity of the town centre. You can easily plan a whirlwind weekend of fun and frivolity. With Melbourne’s own Writer’s Festival just around the corner, I decided to look for events that were less literary perhaps and more culturally fun. I was pressed for options, as I could only visit Bendigo on the last day of the festival, the Sunday. Yet, I managed to book tickets to two events that fit the bill. 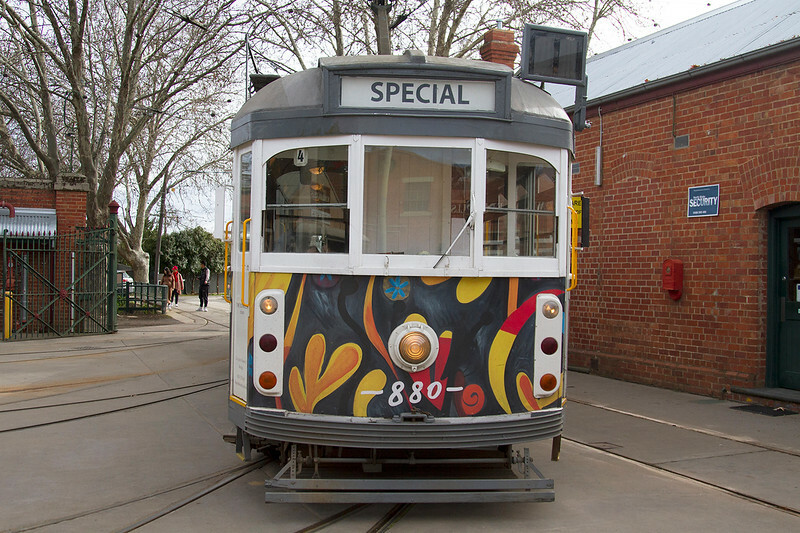 Bendigo is known around Victoria for its heritage trams, which are a damn nicer sight than most of Melbourne’s (one has even been “yarn bombed”, covered with brightly coloured crochet patterns of wool). 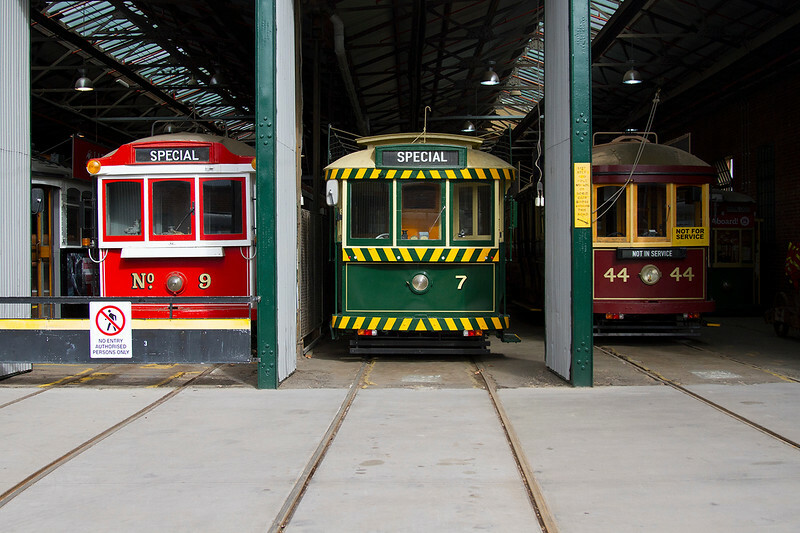 Visitors to Bendigo can catch the trams, which take you through the town. 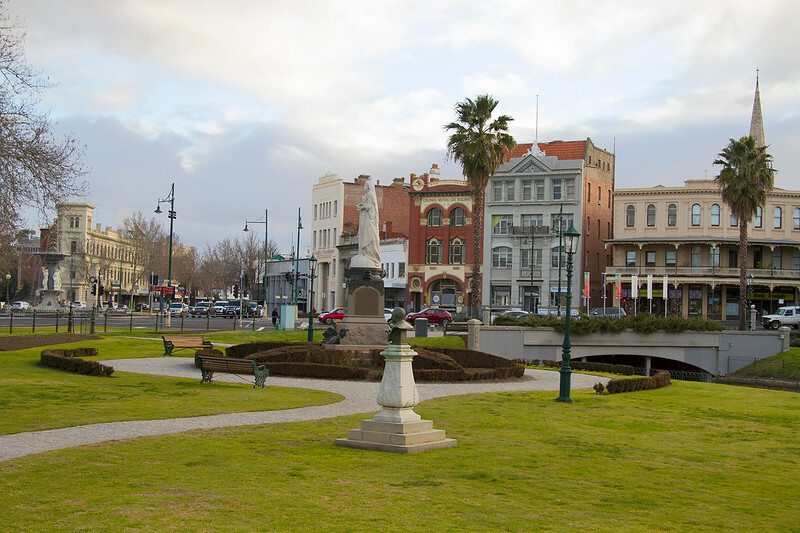 You get to see many of the most popular sights while learning about Bendigo’s varied history. Locals Sonia and Nick, who own and operate the restaurant Masons held an event where they took the fabulously tasty (and very well-presented) food from their own menu and served it IN A TRAM, paired with delicious wines from around Victoria. The brightly coloured ‘Good Taste Tram’. Dessert. It tasted as good as it looks. This was a fabulous event, even in attending alone. I certainly wasn’t the only one there who’d decided flying solo was a reason not to book. I soon got chatting to a couple who had lived in the city for twenty years – the male half of which was from Bendigo originally. He pointed out the various sights as we went past, talking of the town’s history, while his wife joking that it was a bit like being on one of the heritage tour trams. Fine by me – I learned a lot about the city that I wouldn’t have otherwise! The devil’s in the details in Bendigo – there’s history everywhere you turn. The festival closed with a sold out performance hosted by one of Australia’s funniest comedians, Kitty Flanagan. She hosted “A Conversation with Kitty Flanagan” – where we, the audience were to ask her questions, in lieu of literary festival tradition, where whoever has published the book is interviewed by some other usually authorish person. She was brilliantly funny and I immediately went and bought her book – Burning Bridges and Other Hobbies and had it signed after the show, something I’m usually far too lazy to do. Outside the Bendigo Art Gallery. I think I’ll save a “things to do in Bendigo” post for when I’ve visited for longer than 36 hours and have a better feel for the place. 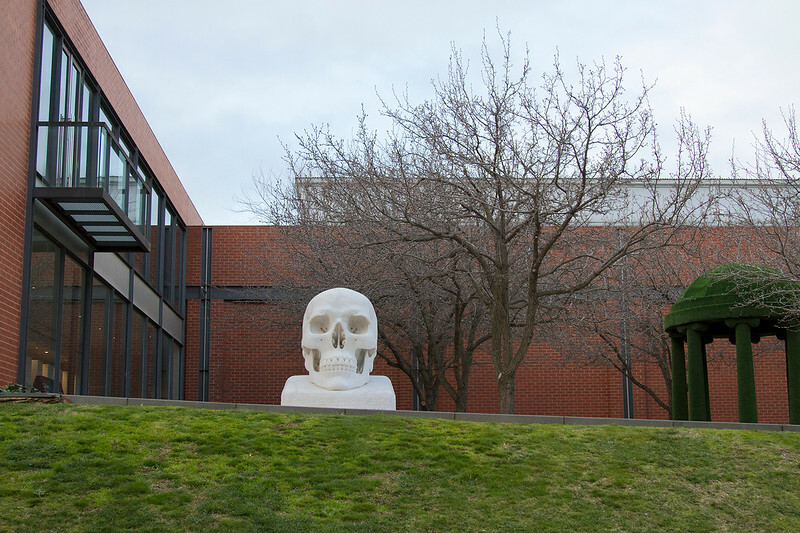 Yet, I will say that it’s definitely worth checking out the Bendigo Art Gallery. Some fantastic exhibitions are held there and it’s free to enter, where all is asked of you is a donation. The entire street that the gallery is on (in the “arts precinct”) is worth checking out, with cute boutique and antique shops that you could get lost in for hours. Looking across Rosalind Park in Bendigo. 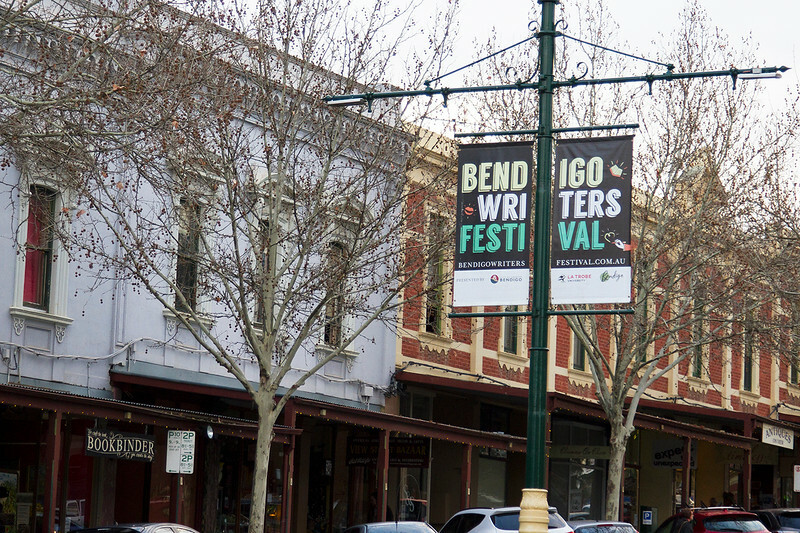 Can’t quite wait until next year’s Writer’s Festival to check out Bendigo? Here are some other options. Bendigo Blues & Roots Festival – fan of the blues and folksy music? Head to Bendigo in mid-November for four days of chill jams. Bendigo Easter Festival – Bendigo’s goldrush background has led it to have a pretty diverse community – particular in its Chinese population, who came searching for riches during the 1850s. This is most reflected in the cultural celebrations of its annual Easter Festival – a carnival featuring authentic Chinese performances. Groovin’ the Moo – one of Australia’s best music festivals, held in regional cities around the country, with Bendigo being the place of choice for Victoria. The only annoying thing about it, is that it’s an all-ages gig. I went every year in NSW until my baby brother started attending too and it got too weird. Summer in the Parks – as the name suggests, a festival held throughout the summer, featuring walking tours, outdoor cinema and the lighting of the city’s Christmas Tree. Bendigo Tulip Festival – this is more a display really, where the conservatory gardens are filled with tulips in the first few weeks of Spring. At the tram depot, near the old Woollen Mills. 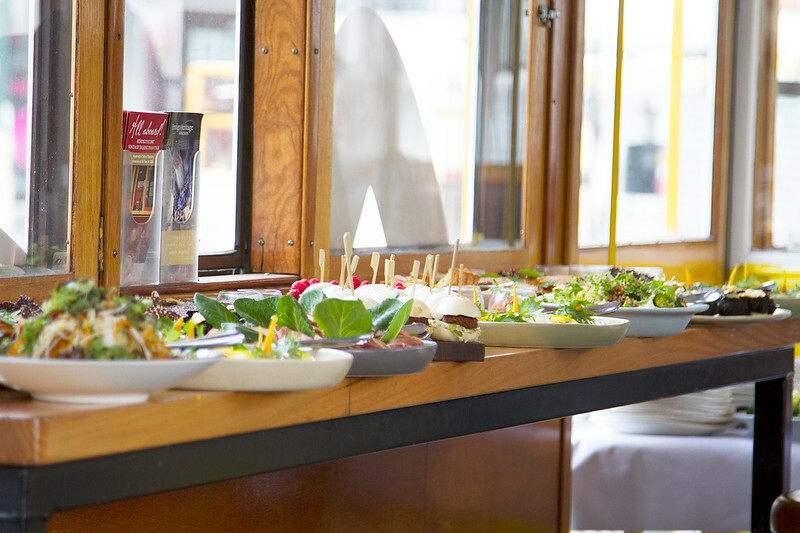 Interested in other events like this around Victoria? Here’s a handful. 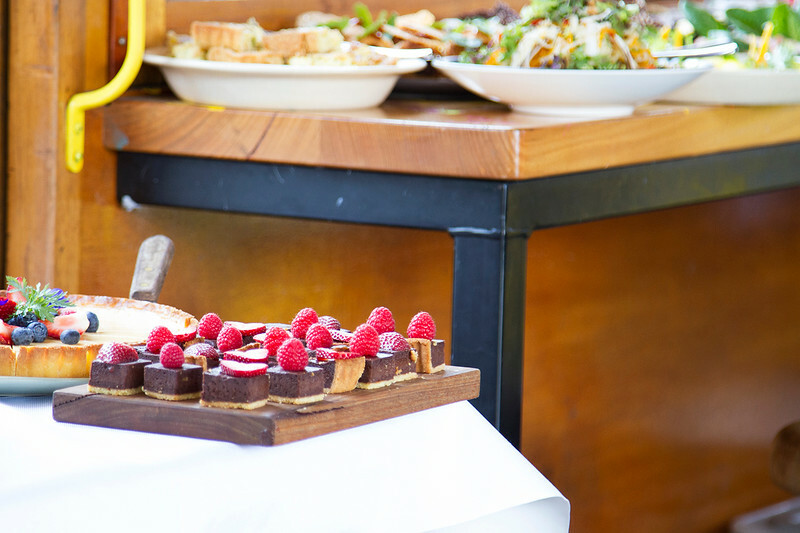 How to spend a weekend away in Daylesford. 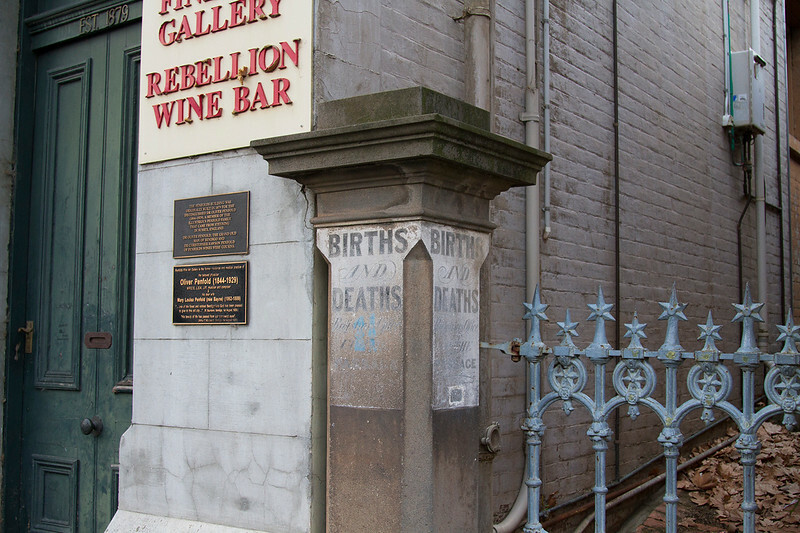 Here’s what to do in Ballarat, another city of historical importance. You can see the best of Healesville in the Yarra Valley during a day trip. Here’s what it’s like to stay in a tiny house in the Victorian countryside. Here are some things to do in Milawa in the King Valley. Not sure where to stay in Melbourne? I’ve got you covered. See other content on Australia here. Have you been to the Bendigo Writers Festival? Know of any others in the area worth attending? I always enjoy literary festivals. As you say they are a good cultural mix. And those trams are so colorful! Looks like I need to visit at some point. They are too cute! I wish the ones in Melbourne were that nice.